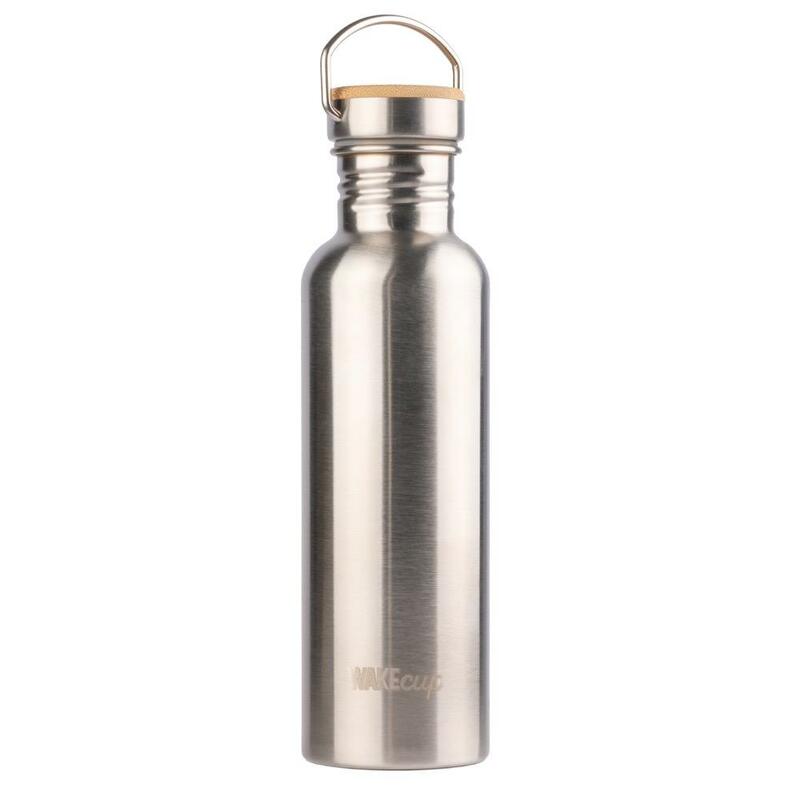 Stylish 750ml stainless steel water bottle with bamboo lid and silicone seal which is leak proof. 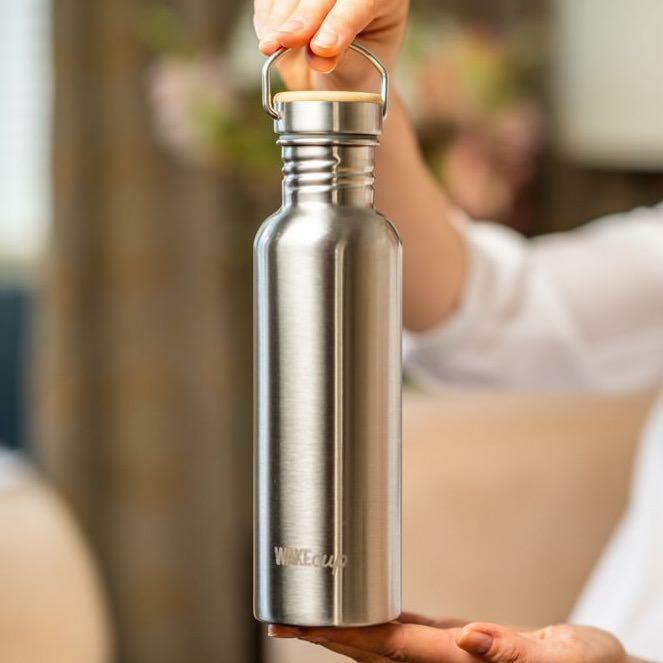 Its lightweight and compact design makes this reusable drinking bottle ideal for long days out and keeps drinks cold for up to 8 hours. 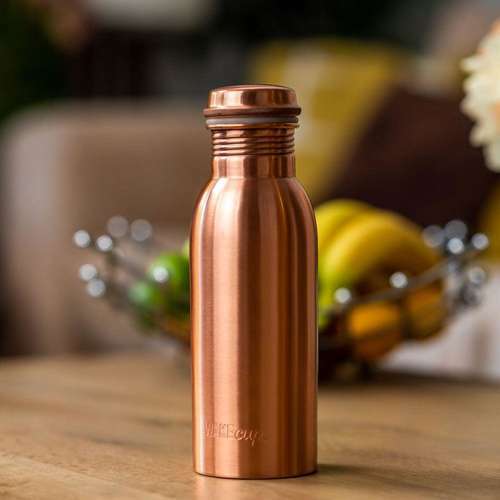 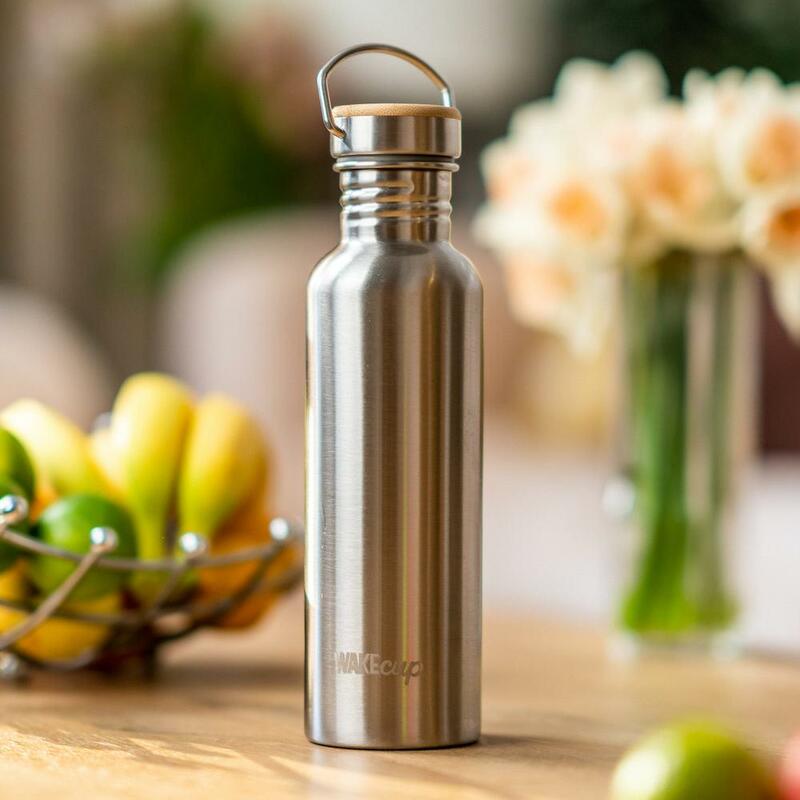 The use of stainless steel also makes this bottle 100% BPA-free, fully recyclable and can be either hand washed or put in the dishwasher. 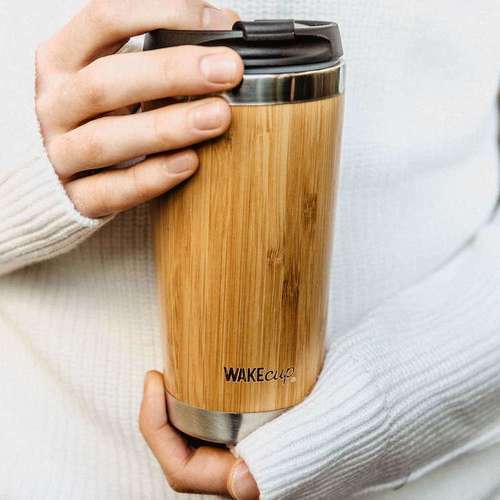 Materials - Stainless steel, bamboo and silicone.